82 inch projector to view your ultrasound scan. The Reassurance scan is available to those that have had their NHS 12 week dating scan with advised gestation of 13+ weeks. If you have had your 12 week dating scan with the NHS and feel you didn't get the time to really see and enjoy your new addition then this is the scan for you. Our sonographer will happily answer any questions you may have at every step of the scan and will also talk you through the whole process. During your scan you will enjoy a relaxed atmosphere in the examination room and view your scan on a 82inch projector. As with all scans success on the day depends upon how baby is feeling and positioned. We offer a rescan in the unlikely event we are unable to provide the scan quality we pride ourselves upon. View your all pictures from your Ultrasound scan on any device. 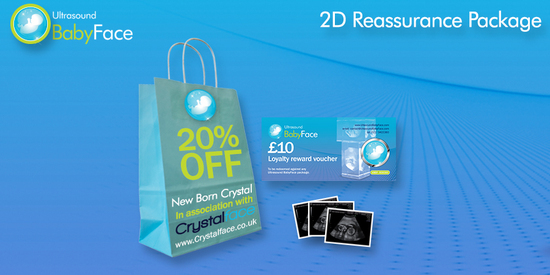 Once your baby has arrived, send us a picture and we will create an ever lasting 3D engraving of your newborn.